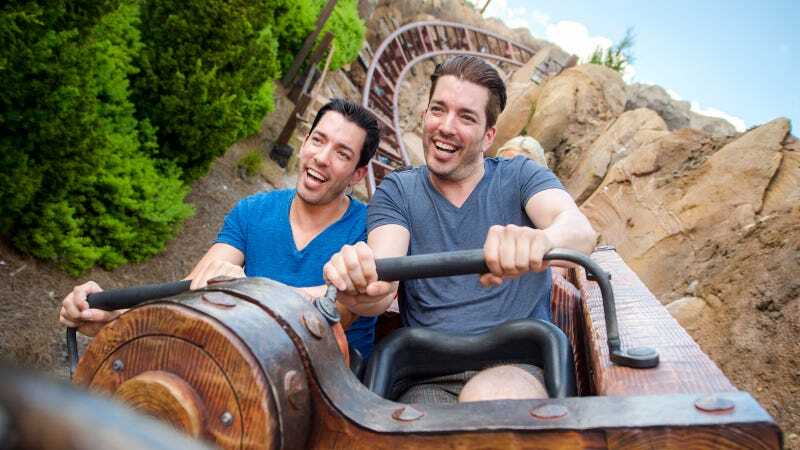 Drew and Jonathan Scott, the improbably famous and successful non-identical identical twins who are better known as “The Property Brothers,” frequently attend events together, presumably because their contract with HGTV (signed in blood, despite the network’s objections) bars either twin (let’s call them Property Brother A and Property Brother B, interchangeably) from appearing in public without the other. From the brand-building perspective, this makes sense. They’re the Property Brothers, not “Drew Scott and Jonathan Scott,” and seeing them individually leads to uncomfortable questions like, “Which one is this?” “Where’s the other one?” “Are they allowed to be apart?” and “Did the other one finally snap?” So! Because these two wannabe magicians and country singers (whoops, that’s not a joke) are at so many events together, they’ve come up with go-to poses when being photographed. Some are better than others, but none of them are good. Let’s examine the six most common ones! Pose 3: Property Brother A Rests Elbow on the Shoulder of Property Brother B, or Perhaps Someone Else—Like Vanilla Ice!